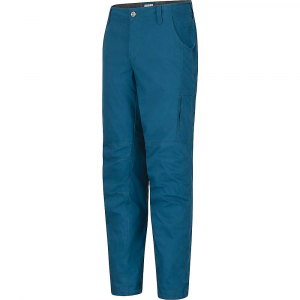 Patagonia built the new Dual Point Alpine Pants for dynamic days in the mountains. From start to finishG? skinning to the base, climbing to the summit, and skiing back downG? the extremely stretchy and highly breathable midweight nylon/polyester/spandex soft shell fabric (with DWR finish) sheds snow, blocks wind and resists abrasion. Ice or snow, crampons or boards, up or down. 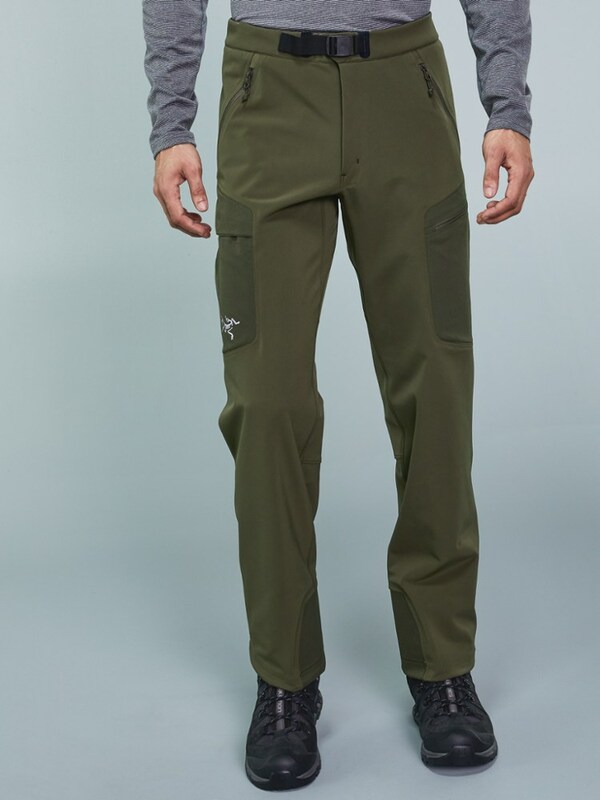 The stretchy, breathable Patagonia Dual Point Alpine pants have a removable suspender system and a minimalist double-cuff design for alpine versatility. Rigged up to handle whatever winter activity you're lining up, from backcountry skiing to ice climbing to mountaineering, Patagonia's Dual Point Men's Alpine Pant is a seriously useful piece of gear. Made of stretchy and breathable softshell material, with articulated legs and a gusseted crotch, the Dual Point keeps you cool and comfortable while you're making short work of alpine ascents, ice climbs, and ski descents. An OppoSet adjustable waist and removable suspenders help you nail the perfect fit, and narrower lower legs, a calf-length zipper, and stetchy ankle gaiters fit smoothly over all sorts of boots. The DWR coating keeps water from sneaking in and sogging up your afternoon. 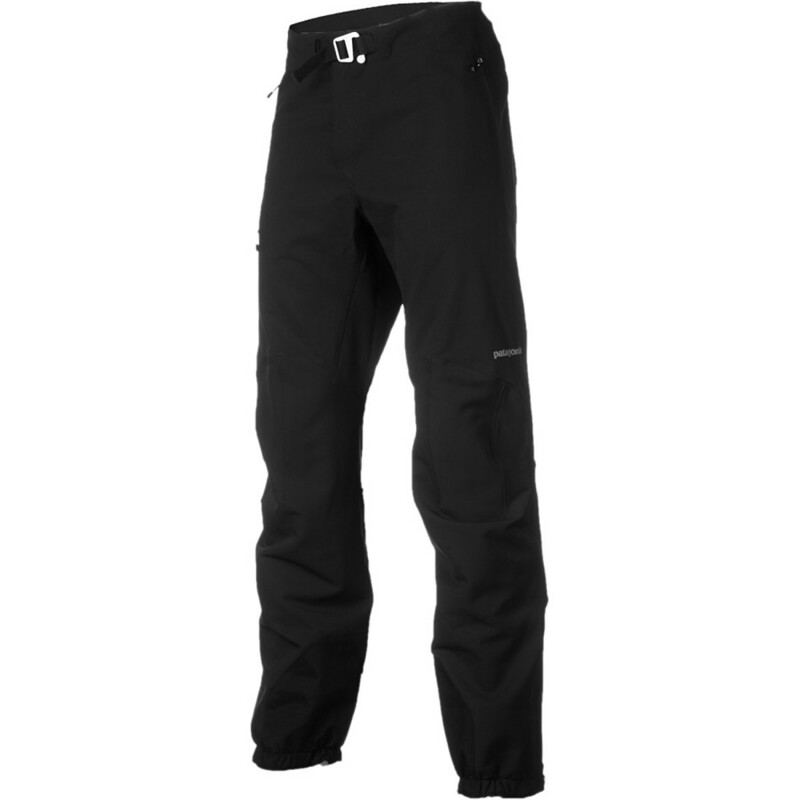 We built the new Dual Point Alpine Pants for dynamic days in the mountains. From start to finish-skinning to the base, climbing to the summit, and skiing back down-the extremely stretchy and highly breathable midweight nylon/polyester/spandex soft shell fabric (with DWR finish) sheds snow, blocks wind and resists abrasion. Features include an adjustable, removable suspender system that integrates with the belt loops, and a separating waist that closes with our innovative OppoSet(TM) adjustment for a fine-tuned fit. Zippers close the welted hand pockets and the two billowed thigh pockets. 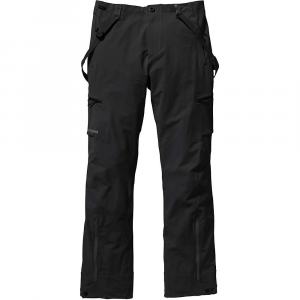 An articulated pattern and gusseted crotch further enhance mobility, while the narrow lower leg has a calf-length zipper and double cuff, a minimal gaiter and tie-down loops. Stretchy and breathable, the midweight polyester/spandex soft-shell fabric has good abrasion resistance and a DWR (durable water repellent) finish Adjustable, stretchy, removable suspender system integrates with belt loops Separating zip fly with belt loops and unique OppoSet(TM) adjustable waist offers a customized fit Webbing loop on rear yoke attaches pants to powder skirt on any Patagonia(R) Snow jacket Articulated pattern and gusseted crotch enhance movement and comfort under a harness Zippered and welted hand pockets; two billowed, zippered thigh pockets sit above the knee and below harness leg loops Narrow and stretchy lower leg has calf-length zipper, adjustable double cuff with minimal gaiter and tie-down loops for use with alpine or touring boots 6.8-oz 63% nylon/26% polyester/11% spandex stretch double weave with a DWR (durable water repellent) finish 544 g (19.2 oz) Made in Vietnam.